THIS EVENT IS FULL – NO MORE RSVPS ARE BEING TAKEN. Join us for a free screening of The Judge. 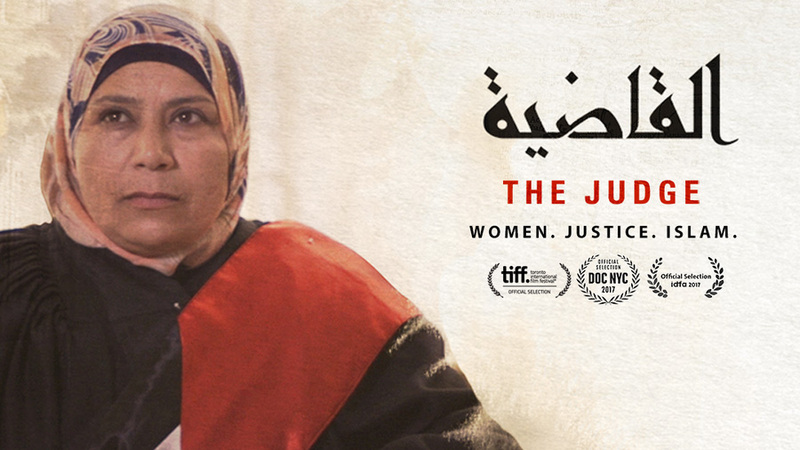 This film features a young lawyer, Kholoud Al-Faqih, who walked into the office of Palestine’s Chief Justice and announced she wanted to join the bench. He laughed at her. But just a few years later, Kholoud became the first woman judge to be appointed to the Middle East’s Shari’a (Islamic law) courts. The Judge offers a unique portrait of Judge Kholoud—her brave journey as a lawyer, her tireless fight for justice for women, and her drop-in visits with clients, friends, and family. With unparalleled access to the courts, The Judge presents an unfolding vérité legal drama, with rare insight into both Islamic law and gendered justice. In the process, the film illuminates some of the universal conflicts in the domestic life of Palestine—custody of children, divorce, abuse—while offering an unvarnished look at life for women and Shari’a. Q&A after the film with director Erika Cohn. LUNCH provided by Poquito Más.